Warman High School is a grade 9 to 12 school with an enrollment of approximately 655 students and a teaching staff component of 1 principal, 2 vice-principals, 37 teachers, 11 educational assistants, 2 administrative assistants and 7 caretakers. Classes for grades 9 to 12 classes operate on the semester system. Warman High has established a tradition of excellence in the academic, athletic and artistic fields and we are proud of the accomplishments of our students and staff. 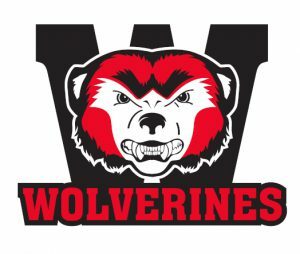 We encourage parents to contact the school as soon as possible if your children will be registering at Warman High School. This assists us in staffing, developing student timetables and making the transition for your child to Warman High as smooth as possible. School bus service is available to the rural residents of Prairie Spirit School Division #206. Please contact the school and we will assist you in making bus arrangements. We offer a full academic program with a broad range of electives: Fine Arts, Advanced Placement Calculus, Advanced Placement Studio Art, senior sciences (Biology, Chemistry, Physics), Industrial Arts, Home Economics, Psychology, Law, Christian Ethics and French. Our fully networked school has two computer labs that enable us to offer Information Processing, Computer Science, Accounting, Computer Assisted Drafting and Design (CADD), Computer Production Technology and Photographics as well as introductory computer skills and keyboarding at the middle years level. Each classroom has a pod of four computers for student use. Internet access is available at more than 200 computers throughout the school.